In this day and age, we are so blessed to have many holidays to enjoy and celebrate. Easter is probably my favourite holiday of them all, being so meaningful and huge part of my faith – It is the holiday we celebrate because it changed our lives forever when Jesus sacrificed his life for us. Funnily enough at some point this incredible act of God turned into Easter bunnies and chocolate Eggs, I’m not quite sure how that happened but either way I am exceptionally thankful for the holiday (and the chocolate that comes with). As with every opportunity, over the past few years Easter Décor has really taken off. 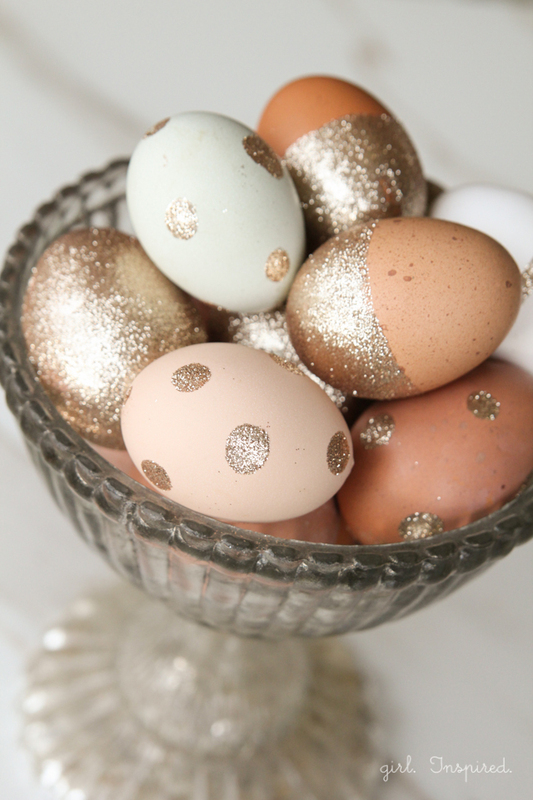 Where there was once a couple of baskets in the dollar store for Easter Egg hunts there is now a plethora of options for decorating with Easter style. From ceramic bunnies and Easter trees (yes – they are a thing), to wreaths for your front door or displays of beautifully painted eggs, there are so many ways to add a little cheer to your home at this time of year. In the northern hemisphere Easter is celebrated in the peak of Spring, hence bringing with it lots of soft and beautiful pastel colours, fresh flowers and baby animals (chicks & bunnies mostly). It’s little wonder that at the dawn of this warmer season homes are spruced up with fresh flowers and more colour – and with a holiday like Easter, what better reason is there to celebrate? So while this is a phenomena that has taken me a little while to accept, I cannot deny that I love the beauty of all these pretty styles. Table Décor – This Easter tree makes a beautiful statement for an entry way or dinner table centre piece. Check out The Crafty Sister’s website for the ‘jelly-bean’ tutorial. Dyed Eggs– A throwback to my childhood of blowing out eggs and then dying or painting them in all sorts of pretty colours and patterns. I love how these could be created with the kids but still looks absolutely stunning when displayed in apothecary jars. Click on the image below for the full tutorial. 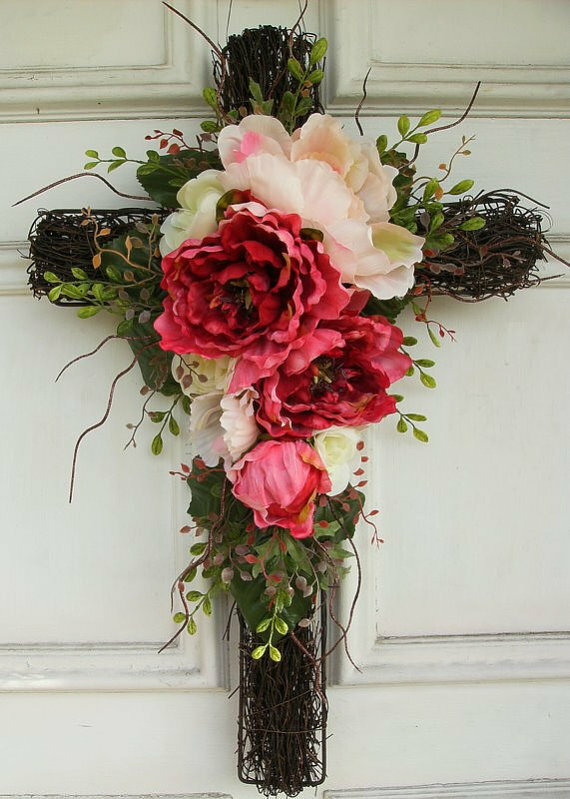 First Impressions – The first and most important impression and message for Easter, this beautiful floral cross is perfect for any front door. Party with Style– This gorgeous table setting is well suited for an Easter themed gathering -I love the sweet yellow gingham, paired with fresh blooms and crisp white. The theme is woodsy but fresh, suiting the Easter bunny just fine.